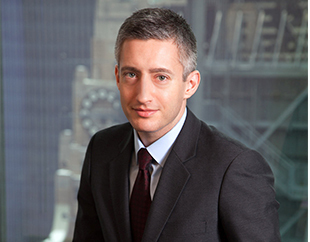 Jason Rubinstein represents major public companies, investment funds, and high-level executives as plaintiffs and defendants in complex business and financial litigation and arbitration, in matters involving a broad spectrum of issues and claims, including common law and securities fraud, breach of contract, breach of fiduciary duty, employment disputes, and antitrust law violations. He also represents AmLaw 100 law firms in defense of claims of malpractice, as well as corporate boards and special committees in connection with internal investigations and derivative lawsuits. Mr. Rubinstein is a member of the firm's Management Committee. In addition, he serves as General Counsel to Friedman Kaplan and advises the firm on all matters of conflicts and ethics. Representation of Caesars Entertainment Corporation in defense of federal and chancery court lawsuits brought by various creditor groups alleging that certain transactions violated the terms of bond issuances and the Trust Indenture Act. Served as counsel to a Special Litigation Committee of PNC Bank in connection with its investigation of shareholder derivative claims alleging that the company’s directors and officers made false and misleading financial disclosures and failed to maintain sufficient controls. The claims were dismissed based on the Special Committee's report and recommendation. Representation of the Manville Personal Injury Settlement Trust (“Manville Trust”) in connection with a multi-million dollar claim by the post-bankruptcy successor of a Johns-Manville Corp. distributor, which sought indemnification for settlement payments it had made to approximately 5,000 asbestos health claimants between 2010 and 2017. Mr. Rubinstein and the firm successfully persuaded the U.S. Bankruptcy Court for the Southern District of New York to rule in the Manville Trust’s favor on every question of law presented and to dismiss the damages claims against the Manville Trust. Representation of an international law firm in defense of claims for breach of fiduciary duty, breach of contract, and malpractice brought by one of the world's largest banks in New York State court in connection with a $75 million loan the bank made (and on which our client advised the bank). The borrower thereafter pleaded guilty to fraud. This bank sued our clients claiming they were responsible for not uncovering the fraud. Representation of a co-owner and co-managing member of a real estate management company, which oversees a portfolio of affiliated properties in the New York metropolitan area, in a AAA arbitration arising out of a “business divorce” between him and his partner. In their award, issued following a seven-day evidentiary hearing, the arbitrators removed our client’s adversary from the management of the real estate management company, confirmed his removal from the management of several affiliated companies, ordered him to repay funds he misappropriated from the management company, its affiliates, and their investors, and determined that our client was entitled to an award of attorneys’ fees and arbitral fees. Representation of a publicly-traded bank holding company in defense of claims by public pension funds and Chapter 11 trustee alleging that it had breached a securities purchase agreement and warrant by refusing to redeem out-of-the money convertible securities following a reverse stock split. Representation of two senior executives of a collateral manager alleged to have participated in a scheme to defraud a secondary-market CDO investor. Mr. Rubinstein and the firm obtained pre-discovery dismissal of all claims against our clients. Defense of a prominent distressed-debt and special-situations fund in an arbitration brought by a former senior employee challenging the enforceability of its retention compensation arrangements. Mr. Rubinstein and the firm conducted a non-public and confidential investigation on behalf of the board of directors of an international integrated resort and gaming development company into the performance and conduct of the company’s CEO to determine whether there was "cause" under his employment agreement for his termination. Representation of T-Mobile USA, Inc. as plaintiff in connection with antitrust claims related to an alleged conspiracy to fix prices of LCD screens. Prior to joining Friedman Kaplan, Mr. Rubinstein practiced at Paul, Weiss, Rifkind, Wharton & Garrison, LLP. Mr. Rubinstein currently serves on the New York City Bar Association's Standing Committee on Professional Responsibility and is a former member of its Standing Committee on LGBT Rights. Bradley J. Miller, General Counsel & Chief Risk Officer, United Community Bank, Inc.